After a month and a half of visitors, holidays, spending time with my sister and just generally having a blast. Saying goodbye to everyone and getting back to reality is a massive downer. I’m back to the daily grind of work, commuting and to-do lists. 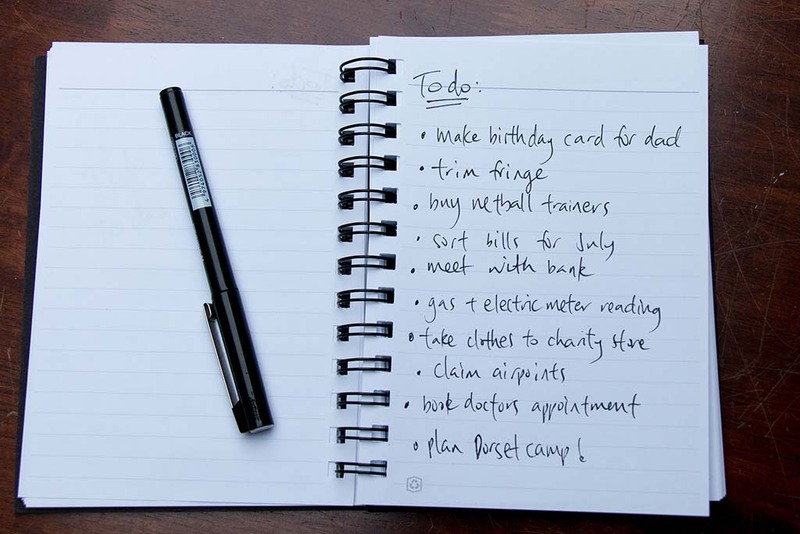 The to-do list I wrote this week after settling back into normal life was long – depressingly long. I am always one for lists (see 27 list), as I love the small win I get when I cross something off (#nerdwin). But as I washed my hair in the shower, stressing about ALL THE THINGS!! the clichéd gravestone analogy came to my mind; no one is remembered for the mundane. I don’t want my (far distant) future headstone to read ‘RIP Andie, she was up to date with the electric bill’. It was a good wake up call to remember to prioritise the things that make me happy. Like this blog, and netball training and holiday daydreaming. I have to remember the other stuff will be sorted in and around the more important things. It seems that forces in the universe wanted to reinforce this lesson too as, tonight while I sat upstairs editing photos for this blog post, a meter reader knocked at the door and popped in for 30 seconds to read the meter. Saving me a job that would have involved dragging a chair downstairs to copy down the numbers and 15 minutes trying and failing to remember my utility company log on to enter them in. I have already crossed it off the list. 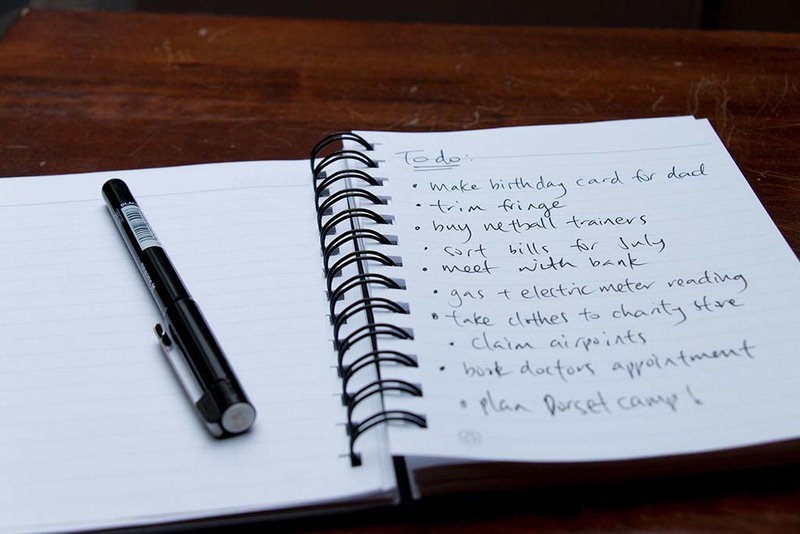 Note: This nice and organised looking list in the picture was written especially for the blog. I have kept my usual messy scrawl well hidden from public viewing. I did a thorough spell check on it too. Must keep up appearances. This entry was posted in Growing Up and tagged priorities, to do list by andieinspired. Bookmark the permalink.